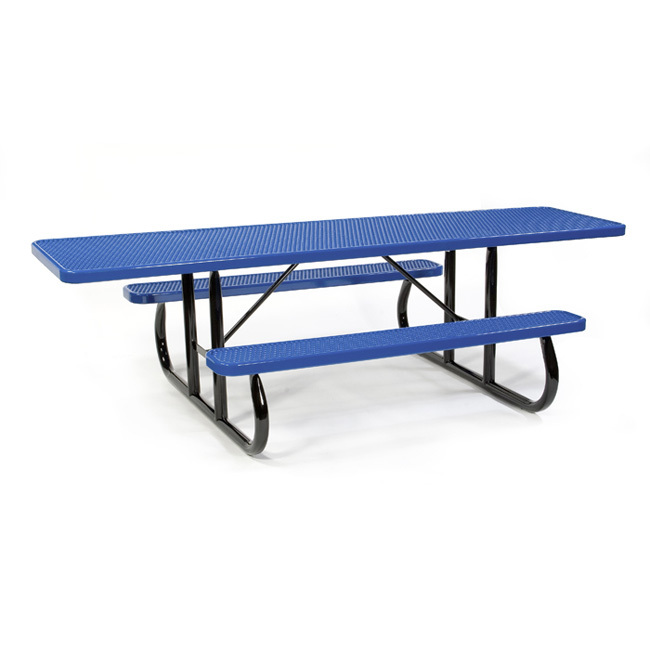 Our 9 1/2′ expanded steel ADA table offers maximum seating capacity for large groups. Two 6′ benches allow seating for 6 people, while the longer table top extension allows two wheelchairs to sit at opposite ends. Top Height 34" Bench Height 20"